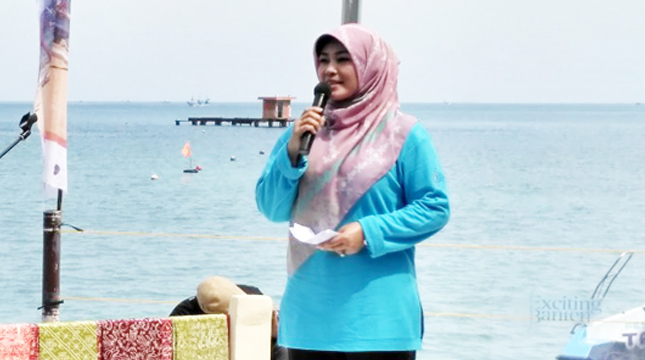 INDUSTRY.co.id - Pandeglang Regent, Banten Province Irna Narulita said the development of Special Economic Zone (KEK) Tourism Tanjung Lesung will have an impact on the regional economy. "The impact on the regional economy must exist, even people close to the region will also feel the development of the KEK," she said in Pandeglang, Saturday (26/11/2016). To that end, he hopes that the community, especially those close to the region support the development of Tourism KEK Tanjung, Panimbang Subdistrict. Tanjung Lesung is included in the central government's strategic plan for the development of national tourism, but Pandeglang regency still plays a role in its development, according to authority. In developing KEK Tourism, the center of Tanjung Lesung Beach tourism location is cross-sectoral, among others are Ministry of Public Works, Ministry of Forestry, Ministry of Maritime Affairs and Fisheries, Ministry of Transportation and Banten Provincial Government. During this time, Tanjung Lesung Beach is one of the mainstay attractions in Pandeglang regency, in addition to Carita Beach. Quite a lot of tourists are visiting the object. Because of its potential is quite good, the central government sees the need to increase the area, and serve as a national tourist attraction. The central government then set Tanjung Lesung as the location of Special Economic Formation (KEK) in the field of tourism. The local government really supports the plan, "she said. KEK land that reaches 1,500 hectares is also a visitor attraction, moreover there are many facilities that are provided in it so that tourists will feel at home. In KEK Tanjung Lesung, he said, will be built 26 hotels, resorts and condominiums and other facilities including golf courses and educational places.